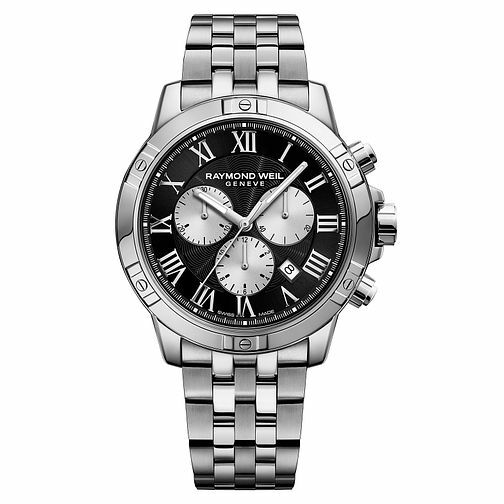 Raymond Weil has crafted a refined and sophisticated look from their Tango collection that embodies style and function. With a black dial with silver-coloured Roman numerals for a classic edge, the subdials feature sheets of steel clearly marked for better readability. The bezel features screw details that enhance the industrial feel of the piece. Swiss made for decades of experience in watchmaking.